How to attract more Chinese tourists to the U.S.? Chinese Digital Media or Traditional Travel Agencies? Inbound travel to the U.S. from China is skyrocketing. Arrivals from China are forecast to increase a whopping 274% between 2012 and 2016. It’s the fastest growth –– by far –– of any country, according to the U.S. Department of Commerce. “If Chinese people have not visited the U.S., they feel they haven’t really seen the world,” said Haybina Hao, director of international development for NTA. Most first-time visitors to the U.S. opt for group tours sold by Chinese travel retailers. But independent travel is gaining in popularity, Hao told Travel Market Report, in a recent interview at the NTA Visit USA Center in Shanghai. 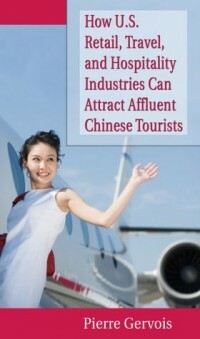 According to Pierre Gervois, from China Elite Focus, a Shanghai based agency providing marketing services to international travel agencies willing to attract more Chinese tourists, “The fastest growing segment of Chinese travelers is the category of affluent travelers, from the upper-middle class. They tend to rely more on on-line travel agencies, and don’t really trust traditional Chinese travel agencies to advise them on their trip.” “The best way of catching the interest of these new Chinese travelers is a presence on key Chinese social media, and to have the destination endorsed by influent Chinese Travel Bloggers”, Gervois added. Hao, who works out of the NTA’s Lexington, Ky., office, was in China to participate in a series of road shows for travel agents and consumers. The typical first-time traveler spends an average of two weeks in the U.S., according to Hao. 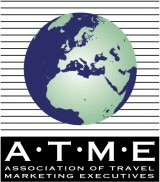 Their standard itinerary includes some combination of New York City, Las Vegas, Los Angeles and San Francisco. Repeat visitors are decidedly more adventurous, often focusing on activities such as golfing, skiing and driving, Hao said. Some repeat visitors are giving new meaning to the concept of fly-drive packages. 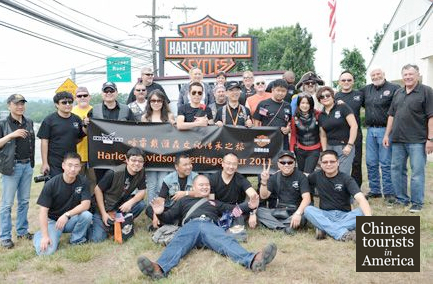 Earlier this year, groups of Chinese visitors traveled to York, Penn., for a tour of Harley-Davidson’s motorcycle factory, then saddled up a fleet of hogs and rode to Philadelphia as part of a group itinerary, Hao said. Another trend among repeat visitors includes tours that are organized around flying private planes. Hao explained that while consumers can earn a pilot’s license in China, airspace restrictions and a lack of facilities make it all but impossible to actually spend time in the air behind the controls. Hao has seen an increase in affluent Chinese visitors who travel to the U.S. to put their pilot licenses to use. While these metropolitan areas have populations that approach 10 million, most travelers prefer to work with travel agencies in Shanghai and Beijing because the second-tier cities often lack sufficient travel agency services, she said. It is the goal of the Visit USA Center to change that. The Visit USA Center staff recently completed a round of presentations for consumers and agents in second-tier cities such as Chongqing, Chengdu, Shenyang and Dalian, Hao said. The events were held in conjunction with U.S. suppliers, including Disneyland Park, tourism representatives from the state of Georgia, Hilton Hotels, and five West Coast-based tour operators that specialize in in-bound Chinese travel. The mission of the Visit USA Center, which opened in Shanghai in January, is to foster leisure travel from China to the U.S.
Key strategies included facilitating relationships between travel professionals in both countries and marketing the U.S. as a tourism destination to Chinese consumers. The Visit USA Center also maintains a website in traditional Chinese, simplified Chinese and English. A recent focus of the Visit USA Center is helping travelers understand that cut-rate itineraries often do not provide the best travel value and experience. “Chinese people are very careful with their money, and they negotiate hard with travel agencies for lower-price options,” she said. 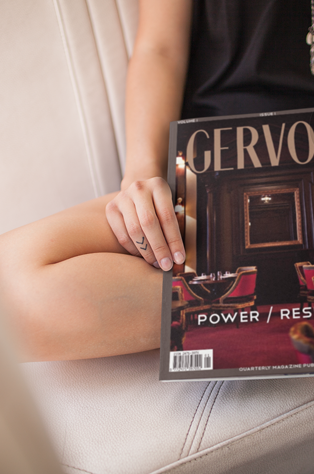 In the past, retailers have promoted tours that offer low-cost per diem rates, but hit travelers with expensive add-ons once they are in the U.S.
“Don’t forget that the old image of the Chinese customer always bargaining for a low price is vastly a stereotype” said Gervois. “The new generation of affluent Chinese travelers want high quality travel services and are perfectly ready to pay for them”, he added.